Expressing his concern that the ancient Prague castle — his official government home and major tourist attraction — the city railway station, or the subway could be attractive terror targets, Czech president Miloš Zeman suggested a raft of policy changes to help defend the nation. Comparing the potential situation with Israel where he said “almost every man walks with a machine gun over his shoulder”, those people who already “legally hold weapons” and had already gone through the rigorous security checks should be allowed to continue doing so. 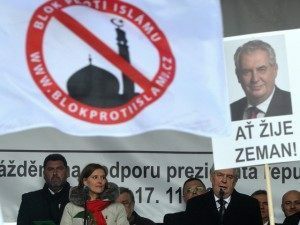 In his interview President Zeman specifically took aim at the European Union (EU) which is using the recent terror attacks as a pretext to curtail gun ownership. 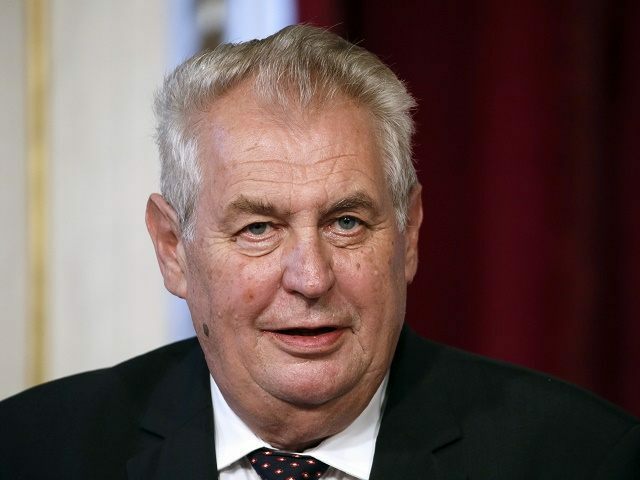 The Czech president also said his nation had to return failed asylum seekers to protect the nation, a comment perhaps made with an eye on those who had not succeeded in their bid to gain a right to remain in Western nations and decided to exact revenge instead. One such was a suicide bomber in Germany in July who attempted to bomb a music festival as he faced deportation, and another was failed asylum seeker Abraham Ukbagabir who killed two people in a Swedish IKEA store in August 2015. Yet since the interview at the weekend President Zeman has gone further, with a government spokesman announcing on Tuesday that he wanted to block all “refugees” from entering the Czech Republic. Mr. Zeman’s spokesman, Jiri Ovcacek, told media: “Our country simply cannot afford to risk terrorist attacks like what occurred in France and Germany. By accepting migrants we would create fertile ground for barbaric attacks,” reports Deutsche Welle. As reported by Breitbart London, Mr. Zeman has previously called the migrant crisis an “organised invasion”, and said given that the “large majority of the illegal migrants are young men in good health, and single”, they would be better off going home to fight for the freedom of their own nations rather than staying in Europe. He compared the situation to Czech refugees who went to Britain during the Nazi occupation of their nation during the Second World War. Rather than “receive social benefits”, he said they regrouped and fought to liberate their own country instead.